Jumbo Toilet Rolls, offered by us are manufactured using high quality tissue paper. We supply these rolls to hospitals, hotels, housekeeping, institutions. These rolls are 100 % hygienic and eco friendly. The range is available in 300mtr, 350mtr, 400mtr, 450mtr, 500mtr or as per buyer requirement. The high capacity solution for high traffic restroom. Extra large, strong and absorbent paper towels, for daily cleaning chores. The high capacity solution for high-traffic restroom. 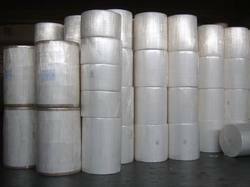 We are engaged in Manufacturing Toilet Paper Jumbo Roll to our precious customers. We use innovative technique and modern machinery to develop these products. Our offered tissue paper raw material satisfies the exact demands of our treasured customers for their softness, hygienic and skin-friendly nature. 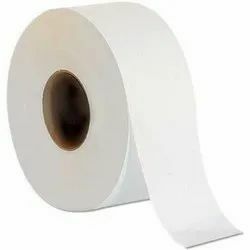 Thermal Paper in jumbo rolls. As per the needs and requirements of our clients, we are involved in providing Jumbo Roll.